Stjepan Sejic and Top Cow have come up with the best gateway drug into the world of 'Witchblade.' The long-running series centered around the battle between the Darkness and the Angelus with the Witchblade artifact as the regulator has had a complicated history. Luckily, this reimagined new beginning is tailor made for new fans to jump aboard. Meet Mary, an awkward, shy, UFO-obsessed teen who accidently inherits the powerful device. She becomes the latest in a long line of powerful women who've wielded the Witchblade and their spirits, Una a cave girl who was the first in particular, helps Mary adjust to her newfound abilities. Sejic as writer and artist takes this complex mythology and breaks it down to its most essential elements making it accessible and relatively easy to follow. He makes Mary an engaging and unexpected heroine considering the history of 'Witchblade' with supermodel-like protagonists. The high school scenes have a light playful tone with clever layouts that introduce the character perfectly. The fights scenes are some of the best choreographed in recent memory. Sejic is extremely versatile that even the color work is buoyant and rich. The teenage Tony Estacado who holds the magic of the Darkness makes an interesting rival of Mary by his circumstances but they share a history that is more complicated. This lays out the contrasting factions in clear terms. 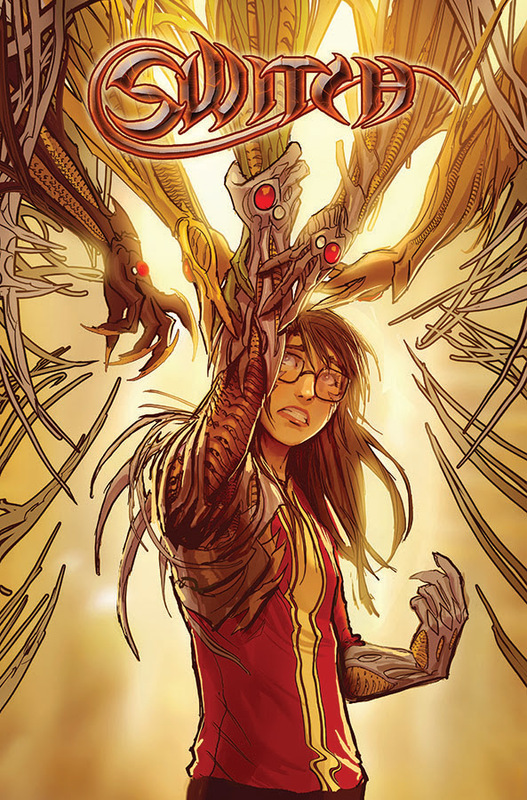 This younger version of 'Witchblade' reinvigorates the Top Cow staple with new energy and fun characters. 'Switch' takes the sense of wonder from young comic characters like Spider-Man and Ms. Marvel and transcends it to a whole new world that will make the series a must-buy for new and old readers. Sejic's singular voice carries the story with razor-sharp focus and amazing visuals.